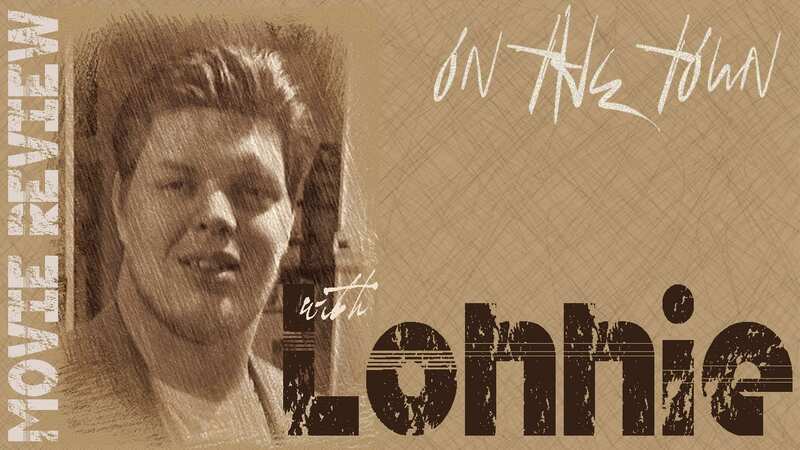 Lonnie Adams | Cherokee Co N.C.
Are parodies real entertainment? After all you’re taking something established and tearing it down, aren’t you? Are you? What if you owned the original? What if you weren’t making fun of something else, but making making fun of your own past? Does that make it okay? Parody, by definition, is a sort of comedic imitation. And the infamous “they” tell me that imitation is the highest form of flattery. So, are you creating something new with parody? What an artists debate this could be. Thor Ragnarok dives headfirst into this debate as it presents a FAR more comedic take on Thor’s part in the greater MCU (Marvel Cinematic Universe). 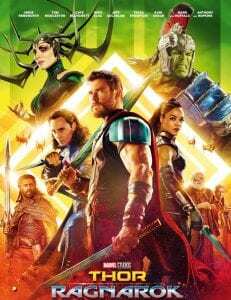 In what harkens back far more to the recent Guardians of the Galaxy movies than it’s own predecessors, Ragnarok presents a very tongue-in-cheek story where Thor (Chris Hemsworth) rallies defenders to save his home realm of Asgard. I cannot overstate how well Director Taika Waititi took the funnier parts of the first two stand-alone Thor movies and grew them into Ragnarok. What I can say is that even as I write this, I still haven’t decided if its pure genius or not my thing. I greatly enjoyed the first two Thor movies. Though an understanding that Thor: the Dark World is widely viewed as, to date, the weakest of all of Marvel’s movies. I love the comedy and I loved the execution. I’m still trying to come to terms with the “parody-like” role that this film has taken. 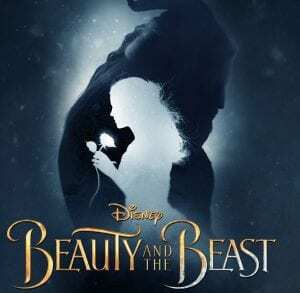 The cast and direction of the movie obviously understands the pitfalls its previous films had, and unashamedly points them out in great detail. Hemsworth shines in the film for a very unusual reason. On one hand he is sort of the unmanageable “god” sterotype. As I watched, I felt myself remembering times with my closest friends when we break down into hysteric fits of laughter and the one guy is the only thing keeping us on track of conversation and not digressing out of control. Hemsworth is that guy that manages to link the absurdity with a viable plot against the vile vixen Hela (Cate Blanchett). In fact, Hela is the completed other side of the coin as she shows little comedy and more of the regular, if a little underdeveloped, evil villain of Marvel’s films. It’s all revenge and murder with that lady. However, Blanchett adds a certain elegance to Hela that not only makes her fierce, but unstoppable in both story and presence. The real gem shining in the background comes from one lesser villain, Ragnarok has a few, known as the Grandmaster (Jeff Goldblum). This character might just be one of my favorites in this film. He stands out in exactly the way you’d expect from Goldblum hitting all the right notes on the off beats of rhythm in the movie. It’s a different kind of ego/insanity that makes me enjoy that Planet Hulk storyline. Oh yes, fans of Marvel Comics will very easily delineate two different comic events in this film. Planet Hulk and Ragnarok see the Hulk (Mark Ruffalo) join Thor to become quite the pair as they add Valkyrie (Tessa Thompson) and Loki (Tom Hiddleston) into the group. They join up on Sakaar, a most wretched hive of scum and villainy. Oh… pardon the copyright, I’ll just call it a parody. Anyway, Sakaar becomes a character on its own with an inspired art direction, and Goldbloom’s personality. It heralds the MCU’s exploration of more territory than the nine realms previously mentioned in the franchise. From the fields of otherworld trash to the arena fights at its center, Sakaar is far different than any planet we’ve been to in this universe. Ultimately, I cannot fault this film for it’s parody style. It more than makes a good movie of itself, and I laughed throughout the entire movie. It provides a whole new take on Thor and marks a big step forward for Marvel as the MCU continues to distance itself from other films and from its comic book heritage. It deserves a right to stand on critic acclaim and doesn’t disappoint on all the hype it received. In fact, I’d say it Ragna-ROKS the expectations I had for it. Okay, you’re right, too cheesy, I won’t say it again. Avid readers may notice a distinct lack of introduction to the story of Thor Ragnarok. No, I’m not going senile… yet. But I am avoiding this for a reason. I will tell you that Thor starts the movie searching for more Infinity Gems, but gets called home by dreams of Asgard’s fall, but I don’t want to reveal a few things early in the film that have a larger take on the latter half. Suffice it to say that the comedy relies a great deal on timing and surprise, I don’t want to lessen the movie from telling you anything risky. That’s right kids, NO spoilers today! All in all, a great work by Waititi who shows that with great talent to support you, taking risks and changes in films can be rather rewarding. I leave you with two pieces of advice. Look deep in between the cracks of the “rocks” and you might see Waititi acting in the film, and when you see the mid-credits scene and you are thinking about getting up and leaving, Don’t. « Previous Article City of Murphy 2017 Election Results: Murphy's new Mayor is Rick Ramsey! Controversy is something this world has way too much of. It is the bread and butter of many entertainment, and even news, networks. Maybe you have heard of the controversy from the 2007 novel entitled “The Shack,” and maybe you’ve even heard someone spouting something they heard or read but don’t really understand. Controversy tends to make some people very apt to anger without full understanding. Likewise, maybe you have never heard of the Shack and are just wondering about this movie you saw a trailer for online. In any case, take a closer look at this movie with me as a story, as a film. We find Mackenzie “Mack” Phillips, the main character, with a good suburban life and family with three kids. He admits he doesn’t really feel his relationship with God is all that great. In fact, he compares it with his wife’s relationship as nowhere near the same level. She calls God “Papa” and talks to him “like an old friend.” A nice sentiment, but Mack feels distant as he still carries tragic memories from his childhood as his father was abusive to him and his mother and the one time he tried to tell someone, well let’s just say it backfired in a very painful way. As overall themes for movies go, this one focuses largely on Christian values and thoughts. Forgiveness and the path to it weigh in the storyline while understanding and pain provide the broad-stroke color of the film. Mack is in pain, but never fully deals with it. It only gets worse as the film’s main plot point occurs and Mack loses one of his daughters. I do have to give the Shack a bonus point for dealing with something in our society that is very dark and gruesome. While it never fully shows exactly what happens, child abuse and even sexual abuse are heavily alluded. The bonus point, though, is actually showing the agony and anger that Mack feels as a parent, even taking him to the extreme once as he considers suicide. Its going to be very difficult to explain some things about this movie without exposing serious plot points. So, while up to this point I haven’t really said anything you wouldn’t find out from a trailer, I should probably warn you that there might be a spoiler or two ahead. One of my favorite things about this movie is the depth of thought and theory in it. This is very much a dramatic movie and it takes you to some very deep parts of human emotion. Some theories of who should ultimately judge people, even more as to what you don’t understand when you judge people, are very blatant in the story. Look closer and you find how one persons sadness can infect a family, how one may experience a time between life and death, how truly hard forgiveness is, and a thought on accepting and experiencing things unbelievable in our world. While there aren’t any really tense moments that hold suspense for the film, the emotion can build through several different situations and as you come face to face with some very hard truths. The film provides a few small moments of comedy in an effort to balance out its own “heaviness” dealing with sorrow and pain, but there really aren’t many and they usually don’t last long, a choice I approved of as the film really sets its foundation in the seriousness of this situation. However, I never felt like there was enough time given to each situation that Mack encounters at the Shack. I never got a chance to fully explore any thoughts that Mack may be dealing with as the film moved on to the next scene. Some points felt as if Mack may have accepted certain things “too quickly” missing the chance to expose the inner struggle the character was feeling. The very thing I loved about this film seemed to weaken it as it may have tried to hit too many ideas in its allotted time. But isn’t that always the way with movies based on books. 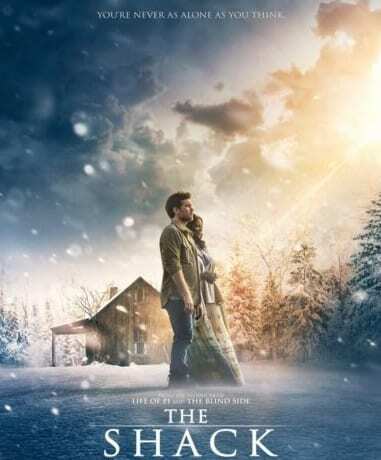 I have never read “The Shack,” but I could almost feel the directors anxiousness at trying to fit a novel into just over two hours. Make no mistake, the movie was definitely not shallow, but I found myself wanting more depth. I wanted to see more from Mack and his interactions with the people he meets at the cabin. One of the best ones you see is, this may be one of those spoiler moments, when Mack meets “Wisdom” and gets a chance to sit and formally judge the people he has been silently judging his whole life. Mack gains insights that he never thought about, gets shown situations he never considered, and is forced to make a choice no parent could. As you watch it, this movie will tear at your emotions and make you want to jump to Mack’s defense. Actor Sam Worthington does a good job making him a relatable character, as does the Director developing his actions and choices as not only understandable, but engaging and empathetic. While most of the film works on Mack, you see some changes towards the end. You see how he would change, how he could help his family, but again this gets cut short and leaves you wanting more, never fully engaging the impact on the other characters. All in all a worthwhile movie. I find myself on the fence about whether you should go see this one in theaters. As much as I loved many aspects of the movie, I couldn’t help but feel let down with the development. May avenues never get explored and those that do never get enough explanation. However, on the whole, the movie performs well in all it tries to accomplish and even gets bonus points for a few things I haven’t seen in other movies. Ultimately, I may have to say go see this one. Although, if I were giving stars, it may sit at only three stars. The one thought I’ll leave you with is to follow my review’s example. If you do go see it, watch it as a story. Don’t take it as a statement on theology. Don’t get bogged down with the controversy and miss a good storyline because of it. In truth, I must admit that even I have been to a couple movies where the CGI work seemed maybe too caked on, resulting in a few scenes that seemed almost hokey. In my hindsight I tell myself that it pulled me out of my immersion in the story due to the stark difference between the normal live-action scenes and the CGI scenes. This is why I ask this, because CGI allows a human actor access to superhuman feats. It’s technology that helps create some of the grandest battles, daring acrobatics, and megaton explosions on screen that are necessary to grasp the magnitude of the powers or extremes some of these stories deal with. So, are we being film snobs and just saying there’s too much CGI, or maybe we have seen excellent CGI movies that set the standard of work higher than what a certain movie gives us, a quality of work comparison. Either way, Wonder Woman has a couple obvious CGI moments, and I have to disagree with the opinions that put it down. We begin our journey across several comic storylines (Are you really shocked anymore that comic book movies mash up storylines?) with Diana as a child. Desperately trying to undergo a warrior’s training like every other Amazon, her all-women people, on Themyscira. Her mother, the Queen, stands against her training saying she is a special as her daughter, but she also alludes to something more. As Diana continues her training in secret, she grows to be more skilled each day. It wouldn’t be much of an action movie if she didn’t. She continues growing until one-day a stranger crashes on the island and Diana rescues him. Ultimately, Diana winds up sneaking away and taking this stranger named Steve Trevor (Chris Pine) back to his home. There you go people, the woman who stands as the mighty symbol of independent women, and her first story is her running off with a guy. I do applaud Director Patty Jenkins for accomplishing a great rendition of Wonder Woman’s origin story in this while not allowing to overshadow the whole movie. I’ve noticed other superhero movies harp a lot on the origins, and I think that would be okay, maybe even necessary, if half your audience hasn’t been reading these comics for decades. Jenkins manages to highlight the origins without losing the avid readers who know it by heart. However, packing so much into one movie forces the time frame over to almost two-and-a-half hours. Not that bad for me, but maybe for some. And while I joke about the origin story, Wonder Woman does seriously stand as a pinnacle of the blend between a warrior’s courage and strength and a need for acceptance and love. The best parts of the movie come through the natural chemistry between Gal Gadot and Chris Pine. As Diana and Steve Trevor, these two don’t just work well together, but actually they work against each other in a nice balance. The culture shock of an Amazonian Warrior in wartime America is one thing, but the duo bring out highlights of the warrior’s truth and honor versus the Spy’s lies and subterfuge. Gadot excellently plays the range of confusion and mistrust at times against the spy lifestyle while Pine does a fabulous awkwardness opposed to the woman so confident and yet soft, strong and yet vulnerable. This sets a beautiful duality to the movie that has these two swapping expectations as often as they swap movie tropes going from the hidden island of the Amazons to gritty New York and then the warfronts. However, Wonder Woman isn’t all guts and glory, the movie stalls in certain areas where I wish they had taken some more chances. A few rather conspicuous plot-twists and a not so subtle downfall of Diana’s opinion of man’s world set up a story that despite the saw-that-one-coming story, entertains through and through. I think I’ve become so caught up in superheroes standing for truth and justice, it’s refreshing to see one go through the true horrors of our world at war. The dissimilar scenes push you down along with Diana, from a beautiful island paradise, you fall into the grunge and harshness of the industrial city, and then to rock bottom in the trenches of carnage and blood. If not for a rather funny group joining these two in hell, this movie could have been downright depressing. Another missed opportunity I thought. As much as I loved the downward spiral, the movie never lets you feel engulfed by the darkness. There is always something that just holds the darkness back. Is that bad or does it hurt the movie, not really, I just think it could have been better to have a few moments truly taking in that absolute blackness of the trenches before the bright shining example of humanity pulls you back from the brink. And that is my biggest point of this movie, I don’t think it’s a perfect movie. in fact, I sort of think maybe the reviews it’s getting are curbed in comparison to the other DC movies. I agree it is the best DC movie yet. Maybe not in the top percentage of movies I’ve ever seen, but by no means a bad movie. 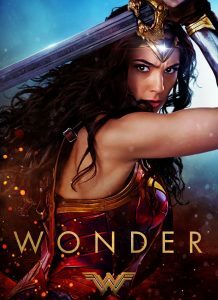 Above average in almost every aspect of the movie, the question isn’t should you see Wonder Woman, but why haven’t you seen it yet? Why have you not let this woman save you from your weekend? Get over the slightly inflated run time and minor details and you just may find your “Damsel in Shining Armor” here to rescue you.